Upon the above proposal become a law, contractor’s/employer's shall have to use only Type G (13 A) type sockets instead of the current Type D socket (5A) in all their projects in Sri Lanka. Accordingly, Contract Price is required to adjust to take account the aforementioned change in accordance with the applicable Contract provisions(s). For clarity, if the contractor incurred additional cost due to this change, they can claim the additional cost from the employer or else, if there is a cost saving due to the change, Contract Price shall be deduct to represent the saving. 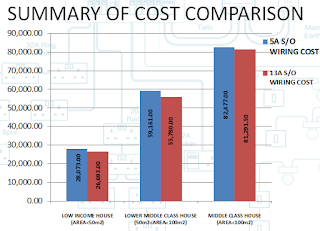 "The Contract Price shall be adjusted to take account of any increase or decrease in Cost resulting from a change in the Law of the Country......"
This proposal was originally proposed and studied by the Public Utility Commission of Sri Lanka (PUCSL) and has conducted a public consultation last year to get various views on the proposed change. 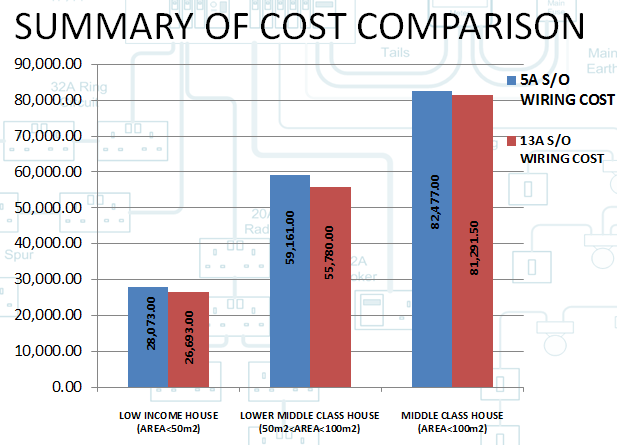 Accordingly to their studies, the costs of proposed Type G (13A socket ) wiring was recognized slightly lesser compared to the cost of current Type D (5A socket ) wiring in houses. Note: Refer the presentation attached with above link for further information. As the law to use 13A sockets instead of 5A sockets would effect two years following the effective date of the law, most of the ongoing projects would not be impacted unless the procurement date is a date following 2 years from the effective date of the law. Also if effects, Engineers may requires to provide updated design information to contractors which duly in cooperated the new requirement. Regardless the foregoing, it is advisable to complete all ongoing projects in accordance with the new requirement as it is not possible/legal to replace any 5A sockets with a same type socket during any stage of the project life cycle following the elapsed of aforementioned 2 years grace period and with due consideration to the practical difficulties/cost associated with upgrading electrical system to in cooperate 13A sockets to the building during post completion stage. Accordingly, this change will reduce the Contract Prices and accordingly Engineers shall proactively progress to obtain the cost saving due to the change, from contractors.